BEAUTIFUL BRIGHT OCEAN CONDO WITH SEMI-PRIVATE ELEVATOR WHICH TAKES YOU DIRECTLY TO YOUR FOYER SHARED BY ONE OTHER RESIDENT. THIS VERY LARGE AND BRIGHT RESIDENCE INCLUDES A HUGE PATIO OVERLOOKING THE OCEAN ; WALK IN CLOSET; EXPANSIVE MASTER BEDROOM AND THE PRIVATE BEACH CLUB. THE CLUB INCLUDES CHAIRS, TABLES, UMBRELLAS, BATHROOMS, FULL KITCHEN, PARTY ROOM, BEACH SIDE POOL, GRILLS, AND BEACH CHAIRS. 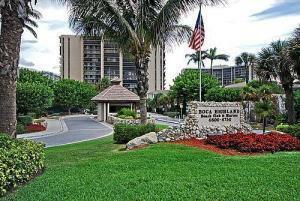 BOCA HIGHLANDS IS A 24 HR. MANNED GUARD GATED COMMUNITY WITH TENNIS, GYM, ON-SITE MANAGER, AND MARINA.